Cedric Antonio Livingston, the son of Rossie C. Livingston and Mildred L. Livingston was born on April 9, 1960 in Columbia, South Carolina. He grew up in Jacksonville, Florida where he attended public school and graduated from William M. Raines Senior High school. Cedric’s love of photography lead him to pursue his hobby while training and enrolling in classes at Florida Junior College after graduation. There he learned to master the lens of the camera and develop techniques that captured facial expressions, special day events and precious moments. 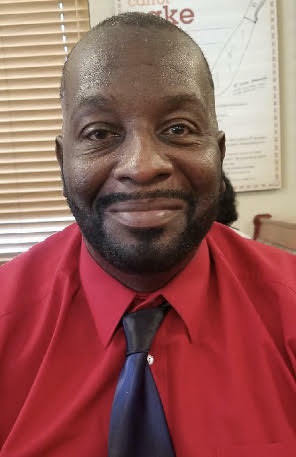 He worked in the Duval County School System and Astro Production until a career change with Professional Transportation as a Field Safety Officer. Cedric was a member of Saint Paul Missionary Baptist Church. On Tuesday, January 29, 2019 the Lord called him home to rest. He was preceded by his parents, Rossie and Mildred Livingston; brother, Donavon Livingston; and son, Tyrone Cook. Cedric leaves to cherish his precious memories, wife, Virgie Cook; daughters, Tamar Gardner (Rondel), Latasha Livingston and Tia Cook; son, Cedric Livingston, Jr.; siblings, Elbert Livingston (Jenny), James Livingston (Barbara) and Renee Livingston; devoted and loving friend, Anita Taylor; and a host of grandchildren, great grandchildren, nieces, nephews, cousins and many sorrowing friends.